Carnival Cruise Lines has removed the 200 percent single supplement from 55 cruises effective Sept. 17. 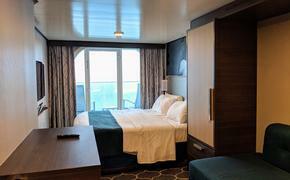 With this change, single occupancy bookings made under any available rate code will be charged 100 percent of the cruise fare when booking interior and ocean-view staterooms. Carnival said the offer is capacity controlled and subject to close without prior notice. Included are three- to seven-night cruises departing from Miami, Los Angeles, Port Canaveral, New Orleans, Jacksonville, Tampa, Galveston, Charleston, Fort Lauderdale and San Juan. For example, eligible sailings include the Carnival Imagination’s Nov. 1 three-night cruise from Miami, which offers inside and ocean-view staterooms for $169 and $179, respectively, and the Carnival Valor’s Dec. 8 seven-night Southern Caribbean cruise from San Juan priced from $429 and $449. For a complete list of eligible cruises, click here.